It has taken a while this 5th grade year to find a whole Language Arts program that works for us. We started the year with a combination of a complete English curriculum from BJU that includes grammar and writing, a Reading curriculum from BJU, a book list for literature study, and creative writing plans through NaNoWriMo. We also planned to continue with Latin for Children. Many of the pieces have worked well. Others were passable, but did not present a challenge to Amber, nor did they advance her abilities in language arts. After a semester of 5th grade, we have finally found the right mixture for us. Our language arts course has moved to a more classical style of study, but still eclectic. We have completely removed the BJU Reading curriculum. Not because there was anything particularly insufficient about it. If you are looking for a complete reading program with a very nice workbook and scripted teachers manuals, then this curriculum is perfect. For us, we learned that while this type of curriculum served its purpose when Amber was younger, we needed to work on more specific abilities this year instead of general reading comprehension. During the first half of 5th grade we included literature study in our curriculum, however it was fairly loosely done with a variety of study aids. Sometimes we simply read the book and discussed it ourselves while taking less than a week to complete the book. Our 5th grade book list is on our curriculum page, for those who are interested. During the second half of 5th grade we are continuing with literature studies in a more purposeful way, with study guides that emphasize reading comprehension and encourage thought. The literature study now completely replaces our reading curriculum. Writing is also another area of concern for us. Amber went from Kindergarten through half of fourth grade in two different Lutheran schools. The first school had an above average writing program, while the second school had an extremely poor, nearly non-existant writing program. We have been working this past year to remedy Amber's abrupt loss of writing instruction that began in third grade. I honestly thought the BJU English curriculum would provide the necessary writing instruction. 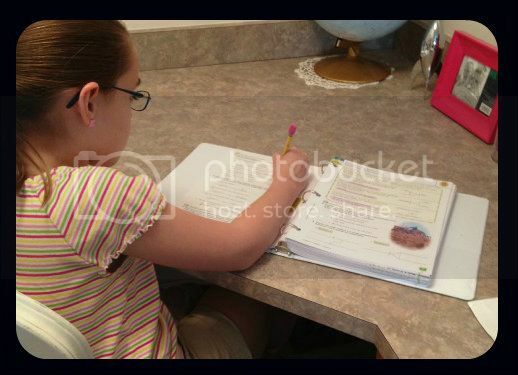 Amber had fared so well with a similar style curriculum during the second half of fourth grade in our homeschool and once again began writing above her grade level. Unfortunately, this year she clearly needs a different style of instruction to further her writing ability. I still love the BJU English writing lessons, even though they do not suit Amber this year. Still, we have been quite pleased with the BJU English grammar lessons and continue to use those daily. They provide solid instruction in English grammar, including diagramming, with many examples and opportunities for practice. Still loves her grammar workbook. Replacing the writing units in BJU English is Writing with Skill Level 1 by Susan Wise Bauer, which we also use daily. I downloaded the samples (10 chapters worth!) so Amber and I could review in November and December. We have been greatly pleased with the curriculum and are actually excited to continue with it. Writing with Skill uses the classical style of education, using models from great writers with all the source material included in the book. Level 1 teaches how to write outlines, narratives, biographical sketches, literary essays and research reports. One of my favorite parts of Writing with Skill is that it is written to the student! There is a needed teachers guide, as well as the student guide, that includes plenty of direction and assistance recommendations for the teacher. 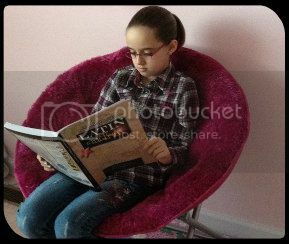 However, in the end, Amber is responsible for reading and interpreting her assignments each day. It has already taught her more independence in her work. Yay! We are still in the early phases of using this curriculum, but it has completely surpassed all my hopes for its use. Amber doesn't whine about the majority of the writing assignments and punctually completes her lessons each day. What more could we ask for? Creative writing is another story though. Amber has always loved creative writing, but it was something that was not often formally included in her school curriculum. This year we participated in the NaNoWriMo Young Writers program, utilizing their free downloadable workbook. Amber enjoyed the pre-writing activities in the workbook and learned more about the planning process for creative writing. She spent a good portion of her free time this past Fall planning and researching her novel. The actual writing wasn't as productive as her planning, but Amber did finish her word count goal and learned more than I hoped through the process. I expect we will participate again in the future. As for foreign language, we have continued this year with Latin for Children and still are mostly pleased with the curriculum. Amber is not as enthusiastic as she was when we first started in February of 2012, but continues to learn steadily and retains the majority of each lesson. I did look around at other Latin curriculum shortly after the school year started in September, but found nothing that I thought would be worth the effort of switching. I may again consider switching for 6th grade or beyond, but right now Latin for Children remains our choice for foreign language. Overall, we both feel that we have now found the best combination for Language Arts (and foreign language) and hope this combination will work for a couple of years. I hope the story of our journey through language arts helps you find a path that makes your journey easier. This post is part of the January 2013 Virtual Curriculum Fair. Please visit the other participants to see all of their Language Arts related curriculum plans and ideas. interesting to see what others are doing. I keep debating on whether to go with NaNoWriMo every year. Maybe this year will be our year! ;-) Congratulations on finishing the novel! I've yet to find one program for any particular subject that does it all for any child, so we pick and choose to find the very best mix that works for our kids as individuals. My oldest found the 1st year of NaNoWriMo to be a bit of a struggle when it came to the writing part, as well, but the next year he found his drive and motivation---it was fun to have him begging to work on his book every day. Thank you for joining the Virtual Curriculum Fair! 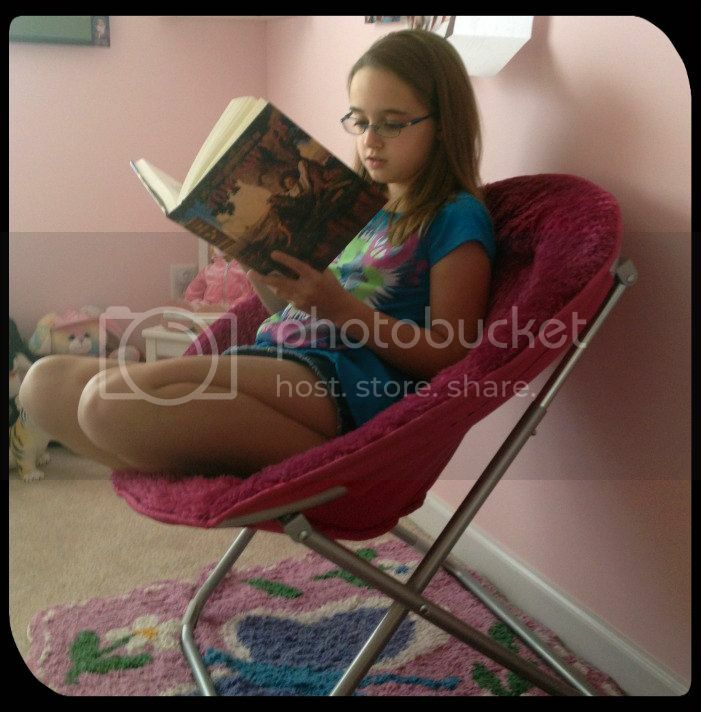 My oldest is currently using Bob Jones for Language Arts and really like it. Although I've added Easy Grammar to help him. We use a variety of things as well with the five younger ones. It is nice to see that we are not the only ones who have a "started" list and a "this is what we're doing now" list. Loved your post...great and insightful!